Ashley Jacot De Boinod admits to being totally "disgusting," hence the name (and tagline) of her gourmet, old fashioned doughnut business â Glory Hole Doughnuts. Since I believe myself to be of the mind of a 15-year-old boy cloistered in the body of an adult female, I can see where she's coming from. Though it was actually Ashley's husband who came up with the name for her company, which has been supplying Toronto with its Maple Bacon, Fried Chicken & Waffles, Lemon Meringue, and other doughnut varieties since summertime. Ashley came up with the idea when she was working at BUCA and started experimenting with different recipes. She began selling her doughnuts out of the Caplansky's truck and eventually moved to a commercial kitchen, delivering regular shipments to Thor and Burger Bar, where Glory Hole enthusiasts can now find her products. While finding her own retail location is the ultimate goal, Ashley says she's not hard-pressed to find something immediately. Parkdale would be the ideal neighbourhood, she says, partly because she lives there, and partly because "lots of new things are popping up." Oh my. 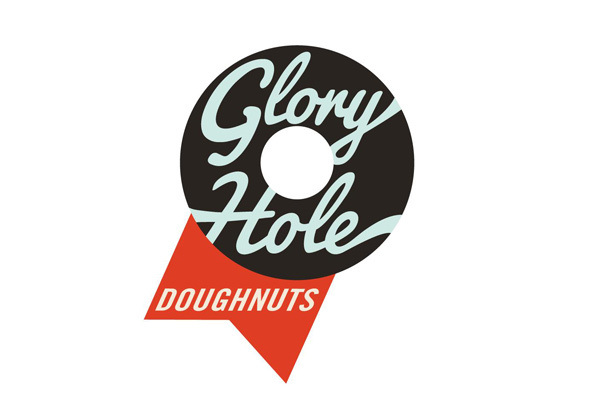 In the meantime, Glory Hole doughnuts can be found at Thor on Wednesdays, Saturdays, and Sundays, and at Burger Bar on Fridays and Saturdays.